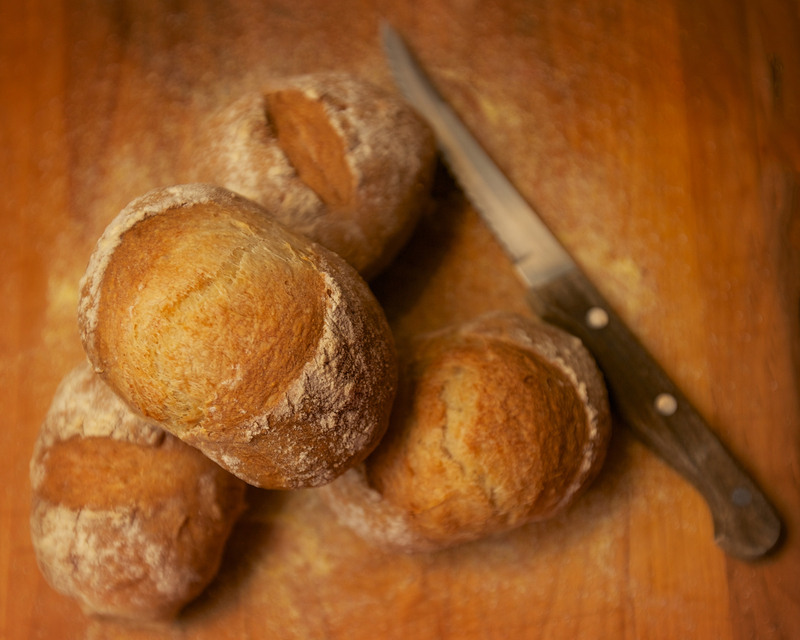 This recipe was brought to my attention by a fellow bread lover friend. 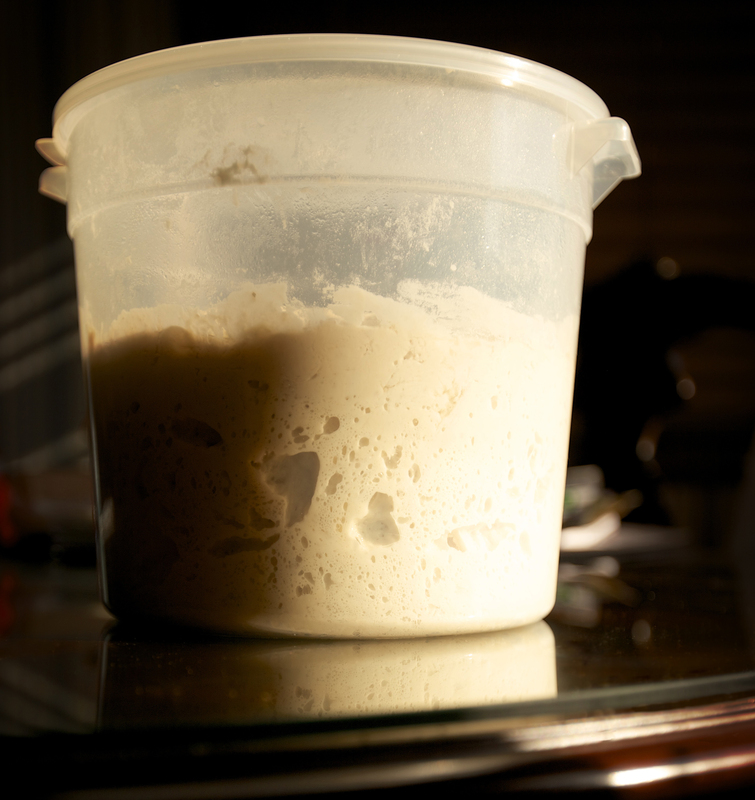 It makes a lot of dough, but the good thing is you can keep it in the refrigerator for up to 2 weeks. 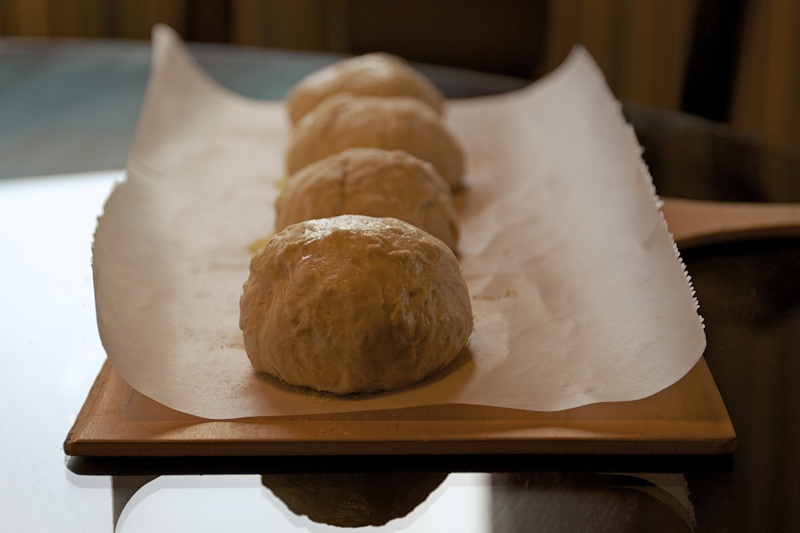 All you have to do is pull some out, form it into whatever shape you like (baguettes, rolls, pizza dough etc) and let it sit on your counter for 2 hours (at least) before baking. While you are waiting you can crank up that stove to 450 degrees. I use a baking stone. These rolls took 27 minutes @ 450. Mix all ingredients and let rise for 2 hours. After that, just place the container in the fridge for future use. This entry was posted in Uncategorized and tagged bread, dough, pizza dough. Bookmark the permalink. OMG they look awesome. Are they as light and fluffy as they look? I will have to try this now. Thanks for trying it out for me. How much of the dough did you use? dumb question… what are the sizes of these that you made? timing for the size is what I’m looking for… these look wonderful. Hariette, I made these about 2-1/2 inches across the top (dinner roll size.) When I put them into the oven they really had some spring to them. I slit them across the top before putting them into the oven and you can see from the picture how much the opened up. Carol, your dough looks a little more together then mine, you think I can add a little flour to the rest of the dough in the fridge? Thanks Carol, I did add some flour. We will see how it goes from here. BTW, thanks for posting the weight of the flour.